If you are wandering where I have disappeared or visit here to read some news and had seen nothing it is time to see the truth. I was not ill although flu and viruses around me. I was busy. I had some urgent tasks. I have to finish a wall hanging for a new modern interior in a flat. 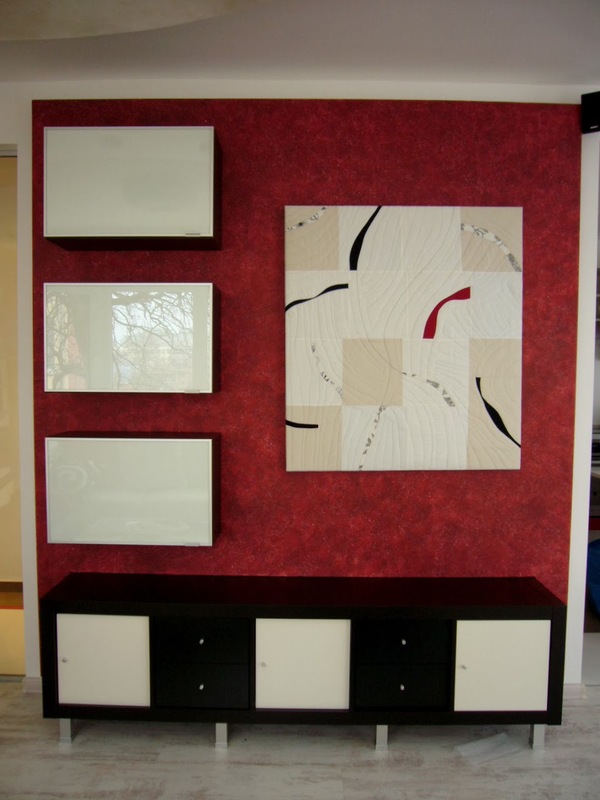 I was a special offer - it has to hang in front of dark red wall in a modern designed hall. Here it is on the floor ready for departure. For the quilting I have used silk ombre grey white thread. I want to add effect as it is sprayed. I used my walking foot for quilting. In progress when I noticed the left down corner is too bold and added a black line. The big challenge is to stretch on a frame. The size is 36 x 40 inches. 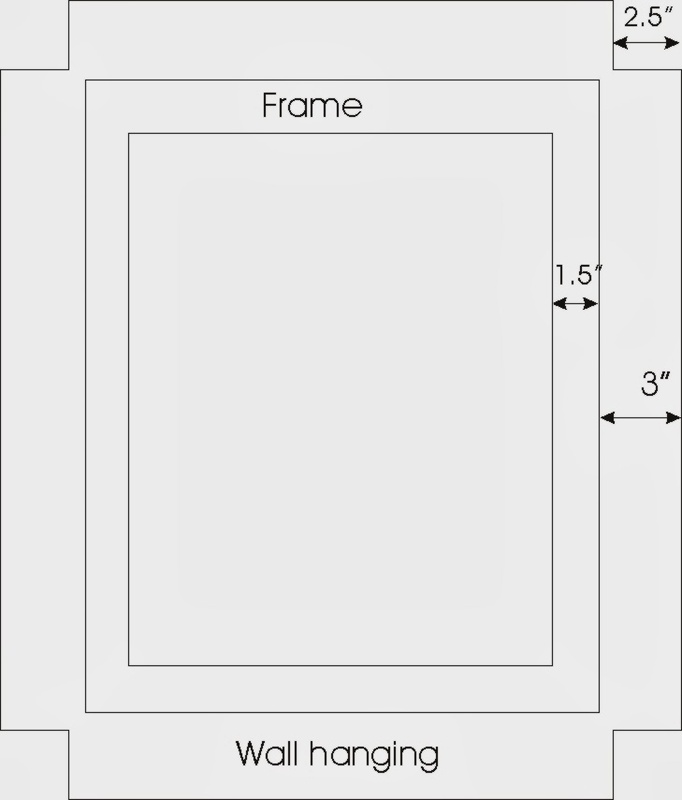 The side width of the frame is 1.2 inches. I have written how to do easier. Lay the finished quilt on the floor right side down. Place the frame on it as shown at the diagram. Cut squares at all corners as you make the bottom of a pouch. 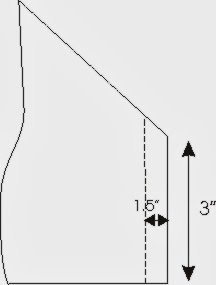 I left half inch seam allowances. The bigger seam allowances lays better on the frame. Pinch the corner right side inside and stitch. Repeat with all four corners. "Dress" the frame with so prepared quilt. Fold the upper side and tackthe quilt to the back side of the frame. Slightly stretch the quilt and repeat with opposite side. Then tack the next two opposite sides. Fold the corners as you wrap a parcel with paper. Cut the exceed fabrics aligning the frame. I have stick with glue to prevent fraying. Special thanks to my friend Mina from liza-myhobbies who helped me with the idea for assembling. Looking at it after finish it reminded me too much for signs left from vehicles. So I named it THE SIGNS.